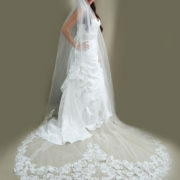 Available in Fingertip & Cathedral length. 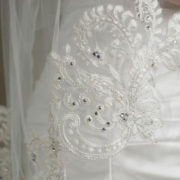 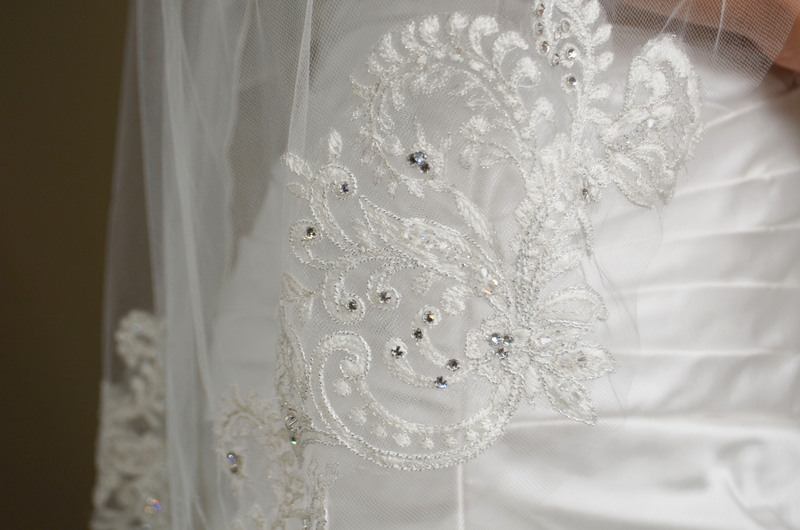 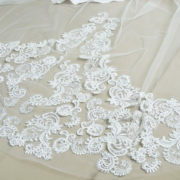 One tier fingertip with lace applique & hand beaded crystals. 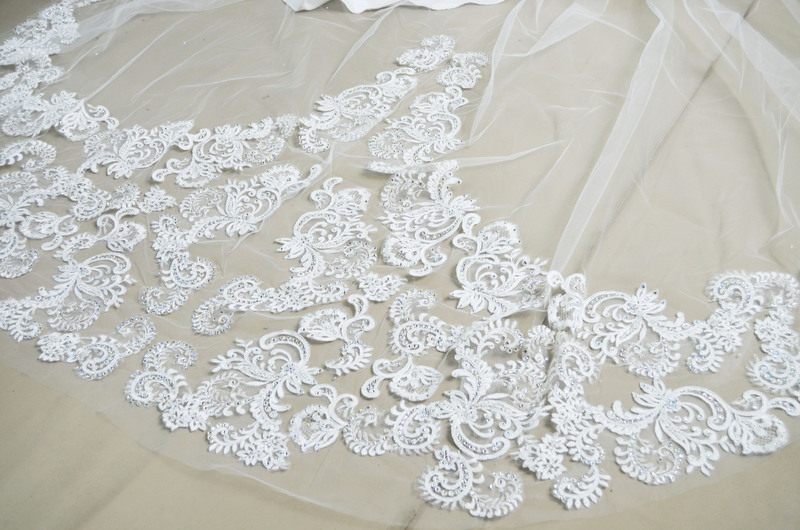 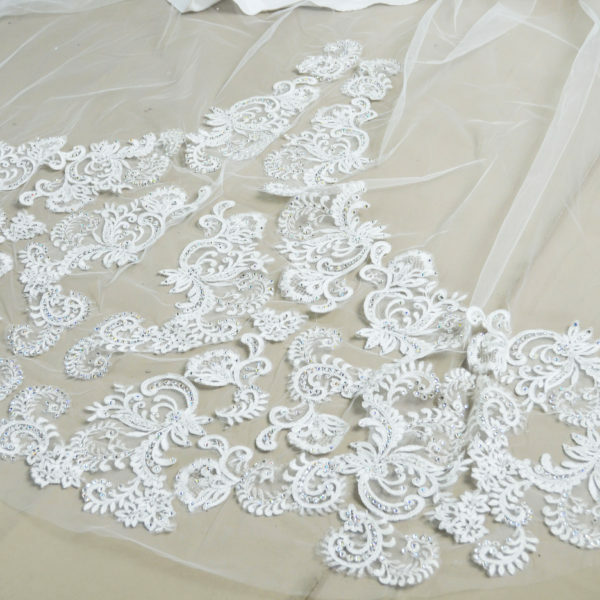 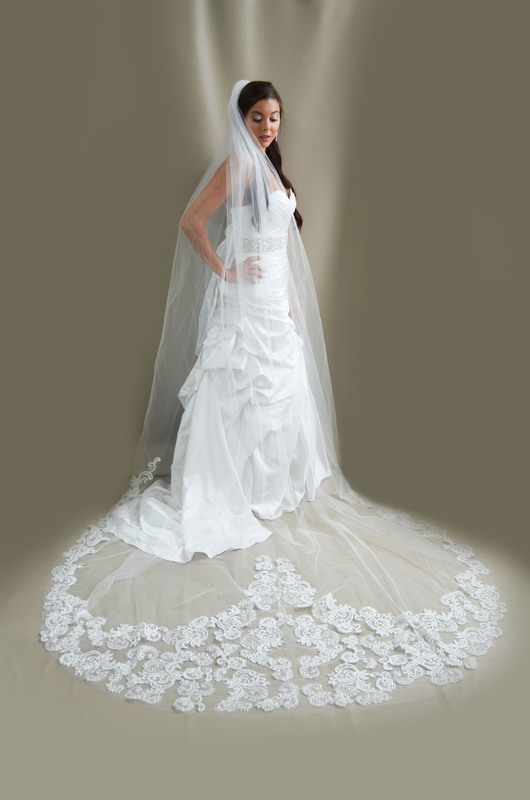 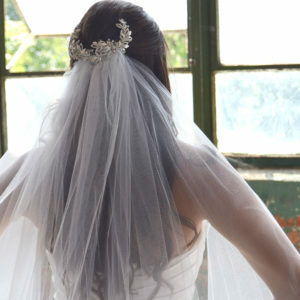 One tier Cathedral with lace applique, hand beaded crystals, & over 3000 hand set stones.